A couple of ancient giants are extending their American debut by two years. The 12-foot-tall Athena and “Fragmentary Colossal Head of a Youth,” both on view in Pergamon and the Hellenistic Kingdoms of the Ancient World, which closes this Sunday at the Metropolitan Museum of Art, will stay in the museum through 2018. 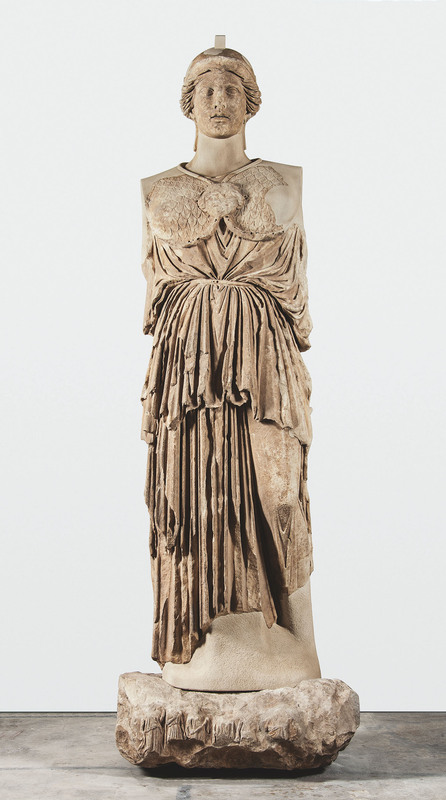 The Met made the announcement this week, confirming to Hyperallergic that this is the first time the sculptures have crossed the Atlantic from their home at the Pergamon Museum in Berlin. 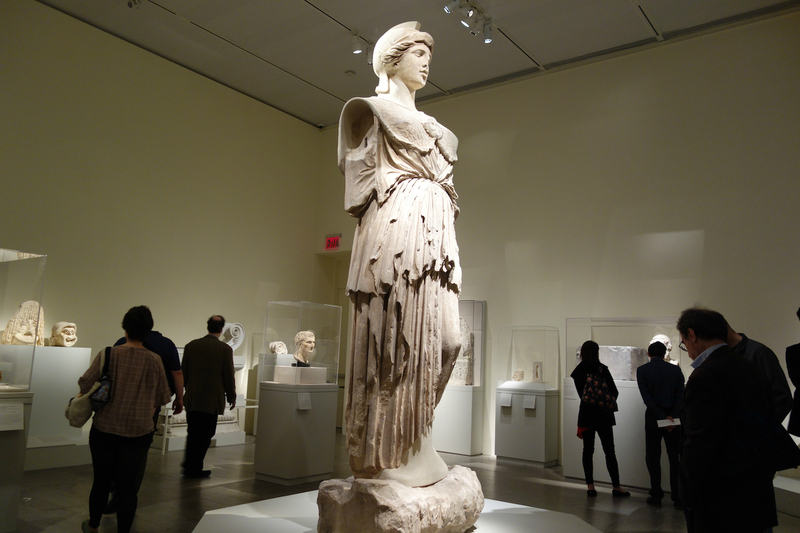 Not only that, it’s the inaugural exhibition of the restoration work on the Athena Parthenos statue. The German institution is currently undergoing renovations and is planned to reopen in 2019. 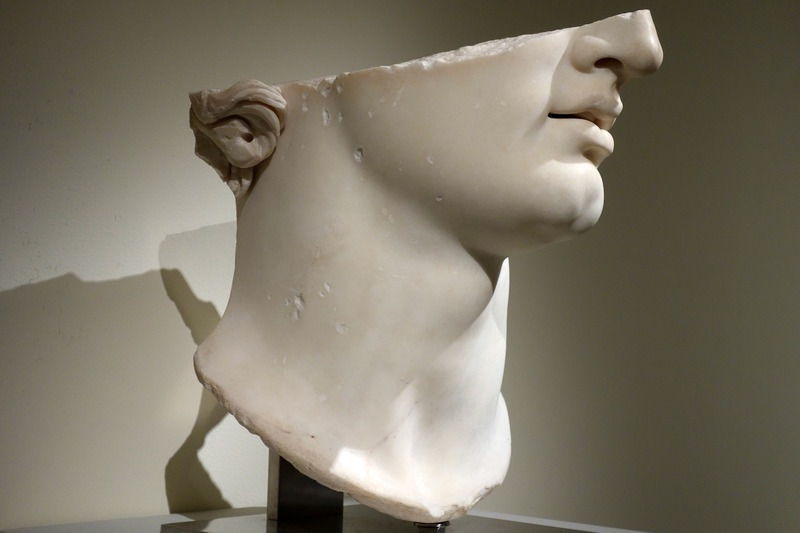 In the meantime, the two loans will relocate within the Met, with the “Head of a Youth” moving to the Robert and Renée Belfer Court, which hosts objects from the museum’s Department of Greek and Roman Art, and Athena to the Great Hall. Their new display will start in early August, giving time for the three-ton goddess to travel. She’ll tower over the grand entry hall of the museum facing another titan from Berlin: a 10-foot ancient Egyptian statue that’s on loan through 2021 from the Egyptian Museum (Ägyptisches Museum und Papyrussammlung). There’s not a lot of colossal ancient statuary in the United States, and getting works here is no easy task; Athena needed to be shipped in three delicately-packed pieces. She’s actually shorter than the sculpture she was modeled on, the now-lost Athena Parthenos, who loomed at 40-feet in the Parthenon. Like the other over 265 works in Pergamon and the Hellenistic Kingdoms of the Ancient World, she represented the spread of Hellenistic visual culture through the conquests of Alexander the Great. 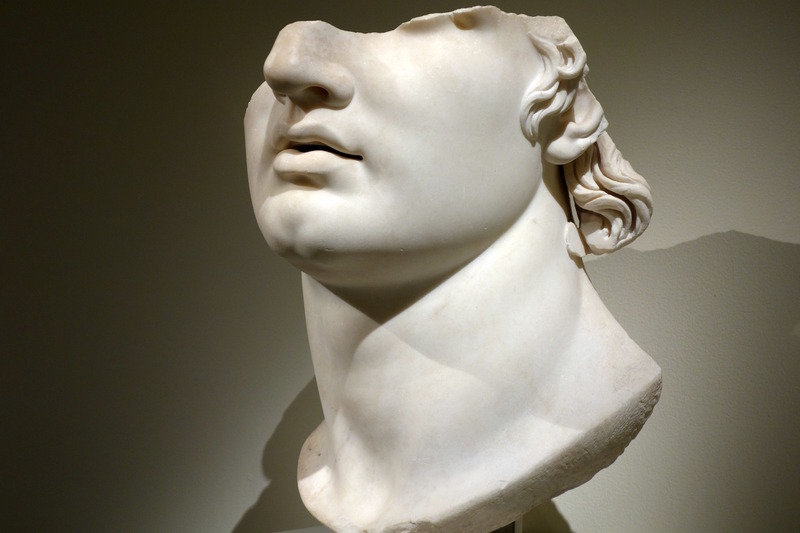 There’s speculation that Alexander the Great is the subject of “Head of a Youth,” the seductive visage similar to many of the idealized portrayals of the young conqueror. This piece was found in a Pergamon gymnasium, the shelter protecting the marble from decay. 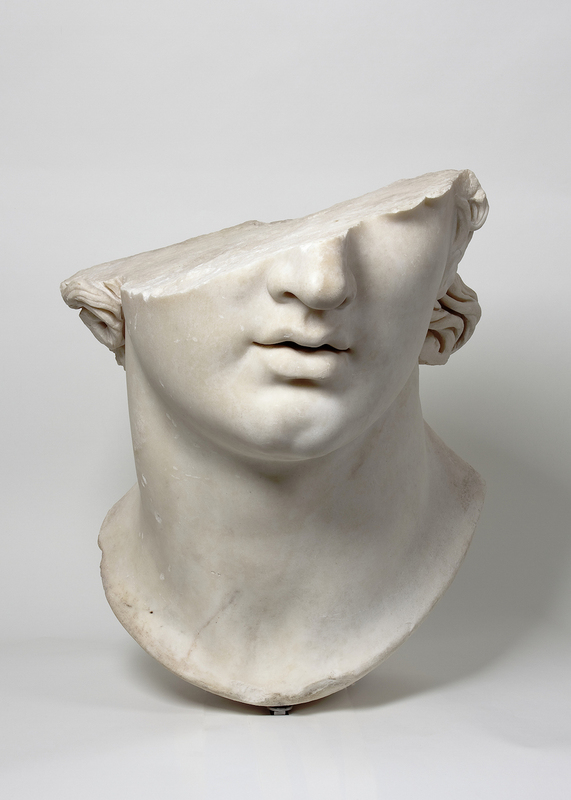 The soft milkiness of the face is interrupted by a break in the sculpture, severing the head at an angle right below the eyes. Its beauty and violence is a fitting embodiment of the spread of culture by war in the exhibition, and will linger as a striking example of Hellenistic marble after its close.